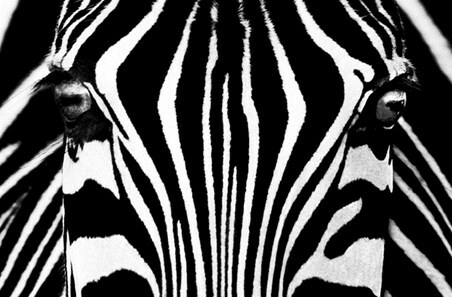 Animal Photography Mini Wall Mural: Known in Kenya to co-exist in one herd, there are three different types of Zebra; Plains Zebra, Grevy's Zebra and the Mountain Zebra. Their distinctive stripes are unique to each individual and as are their erect, Mohawk-style manes. 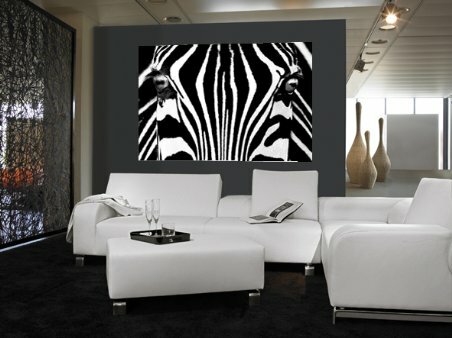 This bold mural features a close up of a Zebra creating an amazing and eye-catching black and white striped image that will perfectly highlight any wall within the home. High quality, framed Zebra Patterns, Stripes mini wall mural with a bespoke frame by our custom framing service.